In 1951 the Department of Energy conducted aerial Atomic Bomb testing in the desert of the Nevada Test Site as part of Operation Ranger. 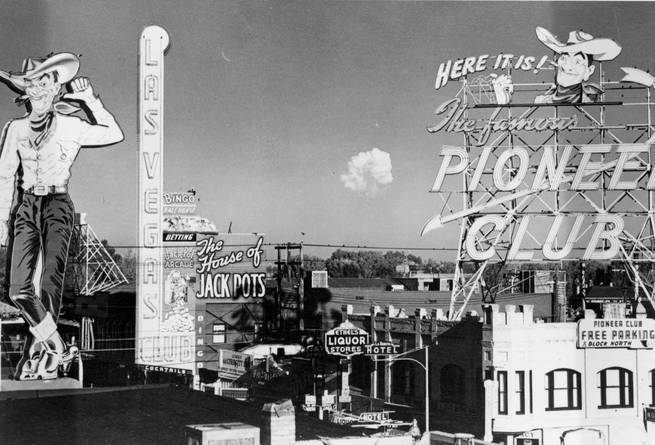 In the early morning of February 1, 1951, Los Angeles television station KTLA had a cameraman filming atop a Las Vegas hotel when the Operation Ranger atom bomb Easy was dropped, making it the first telecast of an atomic bomb. Alfried Krupp's great-great-great grandfather Friedrich Krupp had first created a steel foundry in Germany in 1810. 133 years later, Friedrich Krupp AG was the largest company in German, employing over 100,000 people. In 1943 Hitler declared a special order making Friedrich Krupp AG a sole proprietorship, under the ownership of Alfried Krupp, and made him a government Minister. The company was the center for German arms during World War II. Alfried Krupp was convicted and sentenced to 12 years in prison of the war crimes of plunder, and use of slave labour (POW's and civilians from occupied countries - selecting laborers from concentration camps) during the war. It is estimated that there were approximately 100,000 slave laborers at Friedrich Krupp AG. On February 14, 1951, New York-based boxer Jake "The Raging Bull" LaMotta, the reigning middleweight title holder, entered the ring to box Sugar Ray Robinson for the title, in their sixth match. Sugar Ray Robinson had narrowly won their four of their five previous fights, beginning in 1942; in this final match, Sugar Ray Robinson scored a technical knockout against Jake LaMotta in the 13th round to win the middleweight title. Jake LaMotta was a nonagenarian senior citizen when he was inducted into the New York State Boxing Hall of Fame in 2012. At the ceremony he shared some jokes from his 1970's stand-up comedy routine, including "I fought Sugar Ray Robinson so many times (six, losing five) that it's a wonder I didn't get diabetes." Born July 10, 1921, LaMotta was 92 when he married for the 7th time in January 2013, and will celebrate his 95th birthday in 2016.